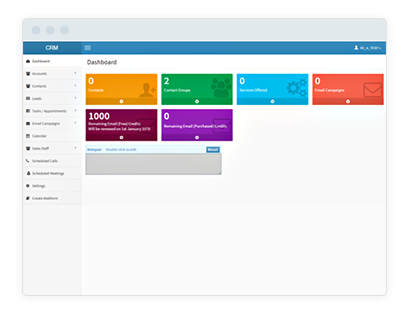 Easily manage customers & suppliers. All your customers and suppliers have full details along with history and notes. You can also define default values for each customer and supplier to make invoicing and billing quicker with few clicks. 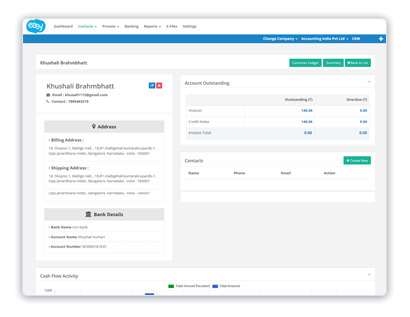 Customer and supplier dashboard gives you an overview of their accounts, how much amount is outstanding, cash flow activity, notes and other information. You can also view and print complete statement of customer or supplier’s account. Manage employees and their personal and payroll information at one place. Manage shareholders and their shares, transfer shares and much more. 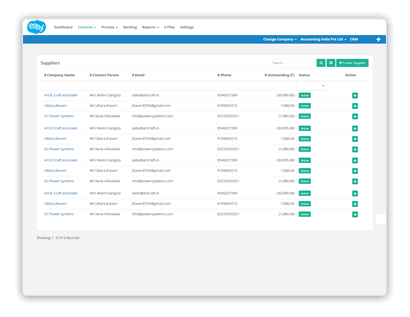 Contacts are integrated with our CRM module. 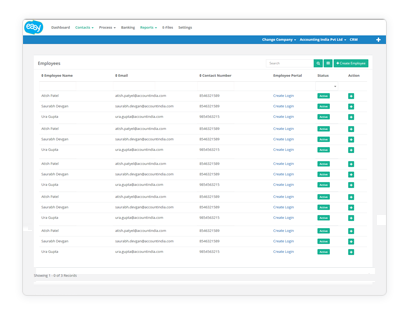 Our powerful CRM module helps you to send customised email campaigns to your contacts. You can create bespoke email templates, copy past campaigns and much more.